Supreme Court Rules That World Bank Can Be Sued : Goats and Soda The 7-1 decision overturns a 70-plus-year standard of immunity for the bank and its branches. Now a lawsuit filed on behalf of fisherfolk in India can go forward. 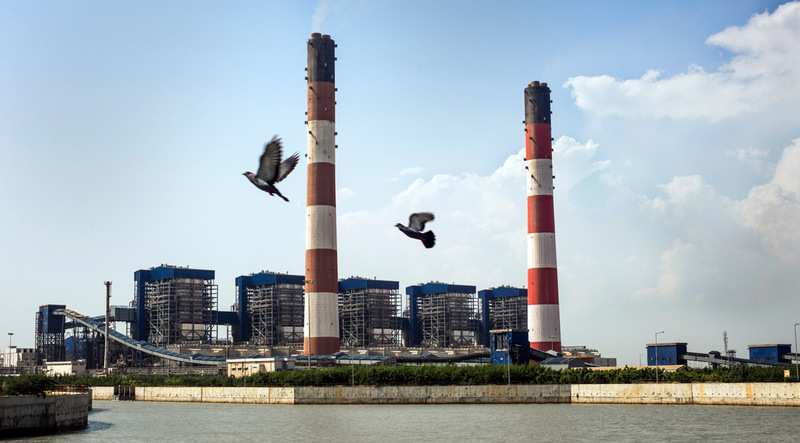 The coal-fired Tata Mundra power plant in western India was funded by a branch of the World Bank. A group of farmers and fishermen is suing, claiming that contamination of local water sources has disrupted their livelihoods. The World Bank can be sued when its overseas investments go awry. And so can some other international organizations. That is the clear message from the U.S. Supreme Court, which last week issued a 7-1 decision in Jam v. International Finance Corporation, ruling for the first time that international financial institutions, including various branches of the bank and other U.S.-based organizations like the Inter-American Development Bank, can be subject to lawsuits in cases where their investments in foreign development projects are alleged to have caused harm to local communities. The decision overturns a decades-old presumption dating to the founding of the World Bank in 1945 — that the IFC, a Washington, D.C.-based branch of the World Bank Group that finances private-sector projects in developing countries, and other bank-affiliated organizations are fully immune from such suits. Wu added that the new legal liability might make the World Bank think twice about whether to fund projects that could come with high environmental or social risks. The decision could make it possible for millions of people around the world to seek compensation for environmental and human rights abuses associated with internationally financed development projects. The World Bank and its affiliates are vital sources of funding for international development projects, and many of their projects are completed without complaint. But some are highly controversial. An ongoing series by the International Consortium of Investigative Journalists has found that more than 3 million people, across every continent, have been physically or economically displaced by World Bank-funded projects over the past decade. The Jam lawsuit, the first of its kind against a World Bank institution, was brought in 2015 by a group of farmers and fishermen living in Gujarat, a coastal state in western India (several of whom share the surname "Jam"). 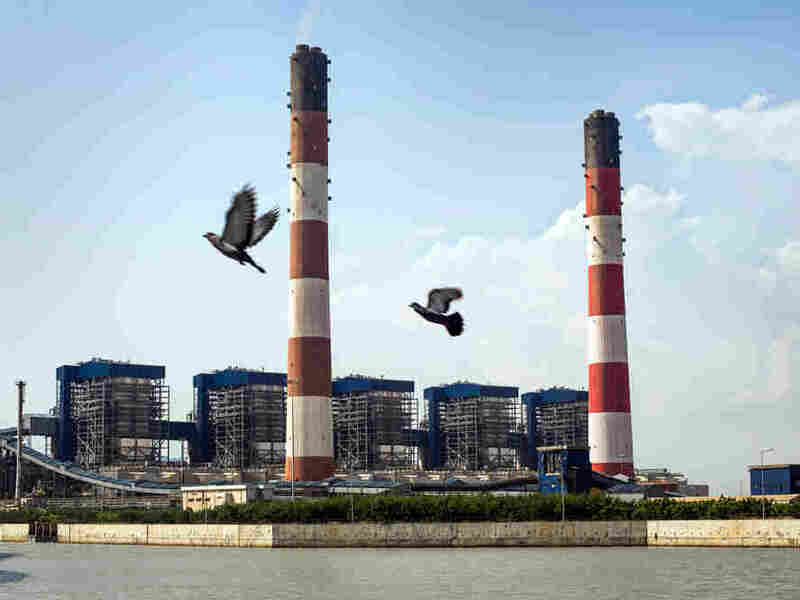 They alleged that the nearby Tata Mundra coal-fired power plant, which came online in 2012, had contaminated local water sources and led to a decline in fish populations, severely disrupting their livelihoods. The plant was built with a $450 million loan from the IFC. The IFC, the fishermen allege, did not follow through on a commitment it made as a part of the loan to ensure that the project adhere to stringent environmental safeguards and is therefore responsible for the damage. The group is being represented by EarthRights International, a D.C.-based legal nonprofit that is the driving force behind the suit. The case was brought in U.S. court because the IFC is based in the United States and because the injury in question is linked to an allegedly irresponsible decision, made in the U.S., to finance the power plant despite the risks. The IFC, for its part, argued that it was protected from lawsuits by a 1945 law granting U.S.-based international organizations "the same immunity from suit and every form of judicial process as is enjoyed by foreign governments," and that changing that standard would unleash a flood of baseless litigation. The case reached the Supreme Court in part because lower courts had disagreed on their interpretation of the immunity issue. Chief Justice John Roberts, writing for the majority (Justice Brett Kavanaugh recused himself, having previously heard the case when it was in a lower court), focused on the word "same." At the time of the World Bank's founding, foreign governments were essentially immune from all suits, so the same protection was assumed to extend to the bank. The rationale was that protection from a torrent of legal action would encourage the bank to fund important projects. But in 1977, Congress passed the Foreign Sovereign Immunities Act, which made it possible to sue foreign governments in U.S. courts when the plaintiff's claim relates to the government's financial activity. In Jam, Roberts found that the "same" standard should therefore apply to the IFC and other U.S.-based international financial organizations, including the Inter-American Development Bank and the Multilateral Investment Guarantee Agency. In a statement, the IFC said it respects the decision and plans to "work to ensure that this ruling does not affect our ability to deliver for our partner countries and does not hinder our mission." A spokesperson for the IFC told NPR that the agency declined to "comment further about this or any other piece of pending litigation." With Jam permitted to move forward, similar suits may follow. A second suit against the IFC, also brought by EarthRights International, had been put on hold by a federal circuit court in Delaware pending the outcome of the Supreme Court's decision in Jam. That suit deals with a palm oil plantation in Honduras that received a $15 million loan from the IFC. Private security forces for the plantation were accused of attacking and killing members of neighboring communities starting in 2010. The violence was documented in a 2013 report produced by the IFC's internal oversight office, known as the Compliance Advisor Ombudsman (CAO), which is tasked with monitoring complaints about the impact of IFC-backed projects but lacks the authority to implement reforms. In response, the IFC said in a statement that it "was deeply saddened by the loss of life," urged the Honduran government to prosecute any crimes and worked out a plan to end its relationship with Dinant, the plantation's corporate owner. That wasn't enough for EarthRights, which filed a lawsuit in 2017 on behalf of more than a dozen surviving victims of attacks and relatives of those who were killed, kept anonymous for their safety. The suit accused the IFC of "knowingly profiting from financing murder, violence, and dispossession" and sought financial compensation for the victims. Now that the Supreme Court ruling enables Jam to move forward, the Honduras case, Juana Doe et al v. IFC, will also be able to proceed by the end of March, says Marco Simons, the EarthRights attorney leading both suits. "We're certainly more hopeful," Simons says. "The IFC thought that it was essentially untouchable. Now it's clearly not. That changes their incentives." In a written statement from a female plaintiff in the Honduras case, provided to NPR by her attorney, she said the Supreme Court's decision in Jam made her feel optimistic about her own case. "It is so important that the banks and institutions that finance and support companies like Dinant be judged, because, without justice, they are abandoning us like orphans," she said. "I am glad that the Supreme Court has decided to establish that they cannot operate with impunity and that they have to be judged for what they have done to us." The Jam decision may also have repercussions outside the court system if it makes the IFC and other organizations more willing to settle disputes before they escalate into a lawsuit, says Natalie Bridgeman Fields, executive director of California-based legal nonprofit Accountability Counsel. That organization is currently supporting a group of laborers on an IFC-backed tea plantation in Assam, India, who have complained of inhumane working conditions. They hope to address their grievances through the CAO, the internal dispute resolution office, and avoid going to court if possible, Fields says. "We expect to see a lot of movement on that case very soon as a result of the dynamic shifting because of Jam," she says. "Our job has been made a lot easier now because of Jam, but there shouldn't need to be a flood of lawsuits for the IFC to do the right thing in the first place." David Hunter, a professor of international law at American University's Washington College of Law who sits on Accountability Counsel's board, says the Jam suit points to a deeper problem with how the IFC and other international financial organizations have traditionally handled complaints of environmental and human rights abuses connected to their projects. They lawyer up and try to stymie the complaint rather than working to fix the problem, he says. The IFC has also tended to ignore the advice of the CAO, which is empowered to investigate complaints but not to implement responses to them, Hunter says. In 2013, the CAO issued a report on the Jam complaint that found that "IFC has failed to address environmental and social compliance issues during supervision." In an official response, the IFC disputed the CAO's findings, arguing that marine life was not affected and that no further investigation was needed. The CAO issued similar critical reports in the Juana Doe and Assam cases, which were also met by what lawyers for the plaintiffs found to be insufficient responses by the IFC. "Jam sends a message that the IFC needs to take environmental and human rights issues more seriously," Hunter says. "The pressure to push money through has led them to overlook and marginalize the CAO at times. Instead of taking a kind of lawyerly, antagonistic approach, they should look at these reports as an opportunity to improve their performance." The final outcome of Jam — whether the IFC is ultimately compelled to pay damages to the Gujarat fishermen — will be a major factor in whether more lawsuits follow, Wu says. If the plaintiffs lose, or their case proves excessively time-consuming and costly, that could discourage future plaintiffs, making last week's Supreme Court decision more academic than consequential. Still, Hunter says, "The World Bank is a lot closer to accountability than they were a week ago."